I think that's a really good idea!! I noticed something when I downloaded the mod. When I place blocks, they have no sound! I'm not sure if this mod is the problem but it hasn't happened before. I have like a gazillion other mods I'm using, so maybe it isn't compatible with some of them. Either way, can you please try to find a way to fix this? what is the command for the engine upgrade? 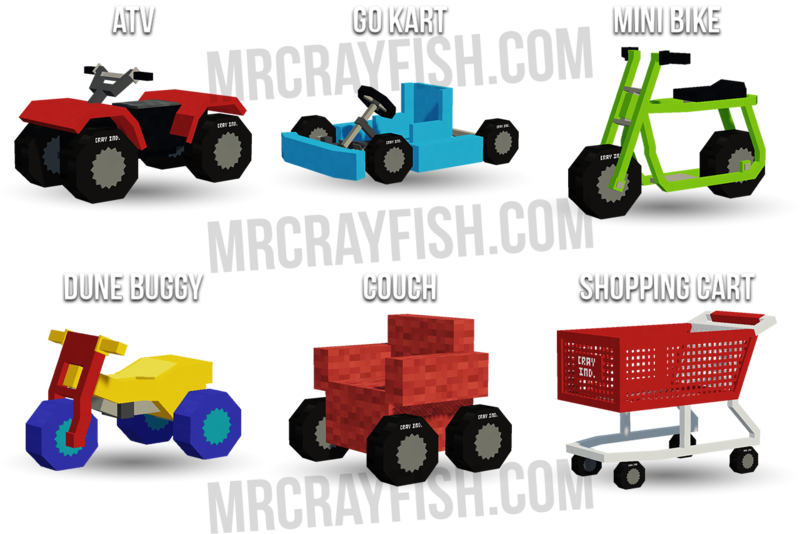 will when we be able to hold the vehicles in our inventory? When you summon the vehicles, sneak then right-click the vehicle and you will be holding it. Another thing is, the library coded for this mod was made in 1.12.2 - he cant like, re-code it for 1.8.9 that easily. 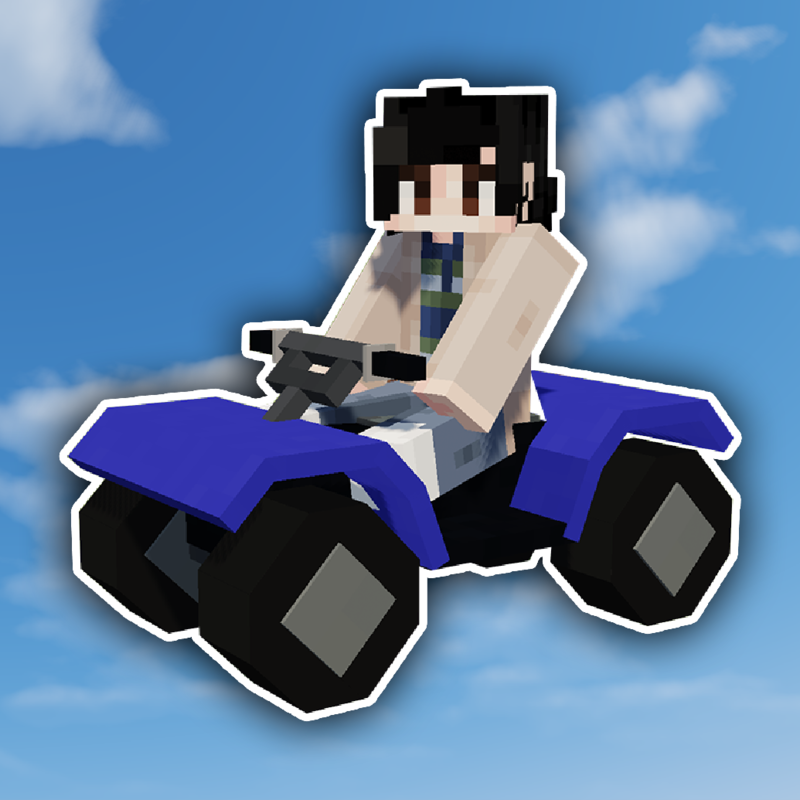 You should add boost blocks and jump blocks to this mod so we can recreate Mario kart stages with these awesome go karts and bikes!